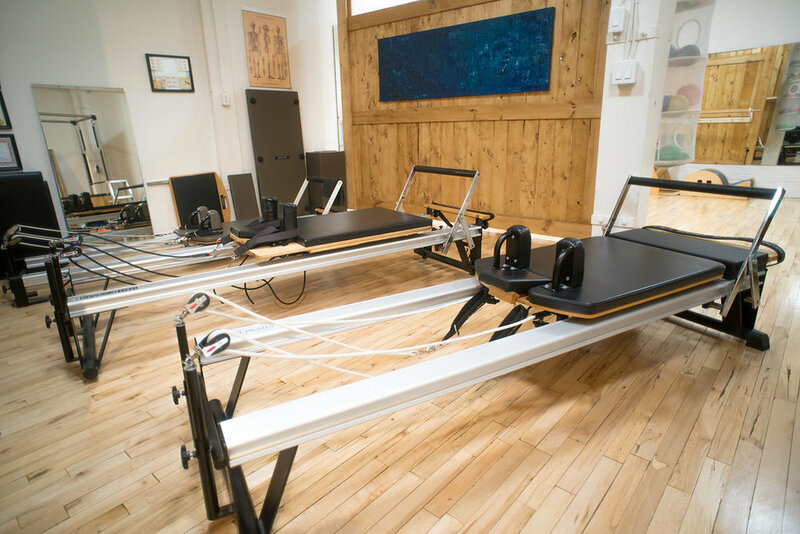 Pilates has proven to be an intelligent, articulate, and postural aligned discipline that moves the body in all directions created by Joseph Pilates. Pilates establishes life long benefits. Allow me to design a pilates workout discipline for you. My daughter Abbie is an 11 year old figure skater. She had months of pain in her mid to lower back and at times it was so bad it brought her to tears. Abbie started Pilates with Elina and the difference with her back is astounding!! Elina examined Abbie, determined what muscles needed strengthening and more flexibility and then she devised a Pilates program geared to Abbie’s needs. Abbie is more conscious about what muscles to trigger versus straining her back. Elina demonstrates and explains the Pilates exercises very clearly so Abbie can understand and then Abbie is able to execute the stretches properly. Elina is very hands on and is so conscientious, making sure Abbie engages the proper muscles. Elina is so very positive, encouraging and patient which makes her a great trainer! Our office invited Elina Viola to head up a pilates class in January, 2014. Not having ever participated in a pilates class, and eager to try something new, I signed up. Every Friday for the last 4 months Elina has run her pilates class for a group of us. The smaller core muscles, the ones you never knew you had, are getting a great work out. I’m a runner and my running has improved immensely due to the improvement in my posture, which she emphasizes just about every class! Elina has given me some tips on form when I run and they are working great. No more back pain after I run. Elina is wonderful at giving individual attention to all the participants as we aren’t all at the same level. It’s very comfortable in the class knowing you are learning something new every time and getting stronger. "I have tried just about every type of fitness class you can name over the past 20 years, with mixed results and a resulting lukewarm motivation at best. My fitness outlook has radically changed since I was introduced to Pilates by Elina. I now look forward to my weekly small group sessions, they have become a key part of my week. Even better, I am already seeing visible improvements in my posture, core strength and flexibility. Elina's attention to detail in every exercise makes the difference between a good result and a great one, and she is more than happy to modify a workout based on personal preference, target zones and pesky injuries. I highly recommend her - you will not be disappointed!"